On December 27th, 2013, the First Shunde Investment Forum was successfully held at Sheraton Hotel and the sponsor was Chamber of Private Enterprise Investment in Shunde District, Foshan City. The theme of this conference was “China Dream·Investment Ceremony”. The attended guests were Shunde District government leaders, invited guests, representatives of Beijiao Town, chamber of commerce consultant, chamber of commerce members and media representatives, the overall number of people are eight hundred. The leaders of chamber of commerce investment, government leaders of Shunde District and representatives of outstanding member delivered speeches. 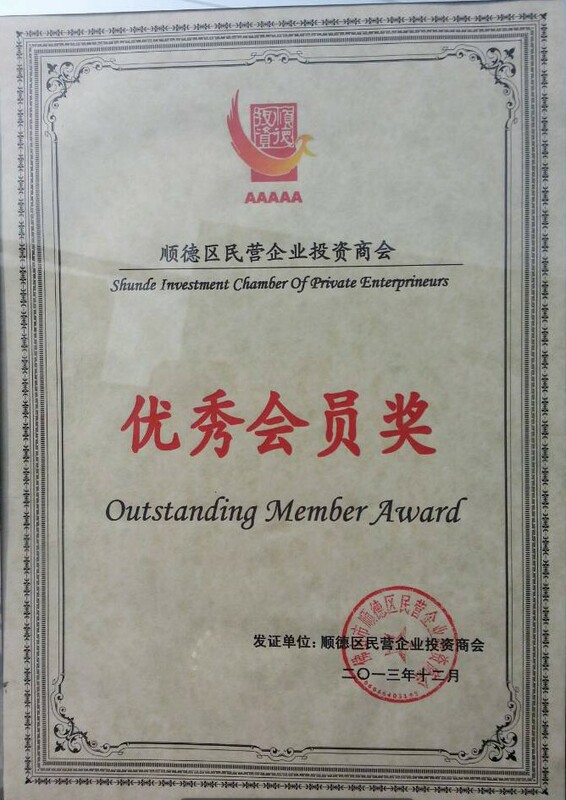 Swin Industrial Co., Ltd attended this activity as the chamber of commerce members and won the Outstanding Membership Awards which awarded by Chamber of Private Enterprise Investment in Shunde District, Foshan City. The C.E.O, Mr. Li Peicheng accepted the prize on behalf of the company. This awards is also the Chamber of Commerce Investment in recognition of our company. Shunde business has a certain influence in domestic and there is a slogan in Shunde:　the product that Shunde makes, the pride that China takes. It can reflect the valiant spirit of Shunde merchants. As a member of Swin Industrial Co., Ltd, we deeply believe that Swin manufacturing will become the pride of China in the near future. The conference ended with an exciting sweepstakes at 9P.M..